AmTec Less Lethal Systems (ALS) specialises in a wide range of “less lethal” weapons and equipment designed for use by police, law enforcement, security, prison and military personnel. Data released by the Stockholm International Peace Research Institute (SIPRI) in March shows that the volume of international transfers has been increasing. Support international anti-war action today! 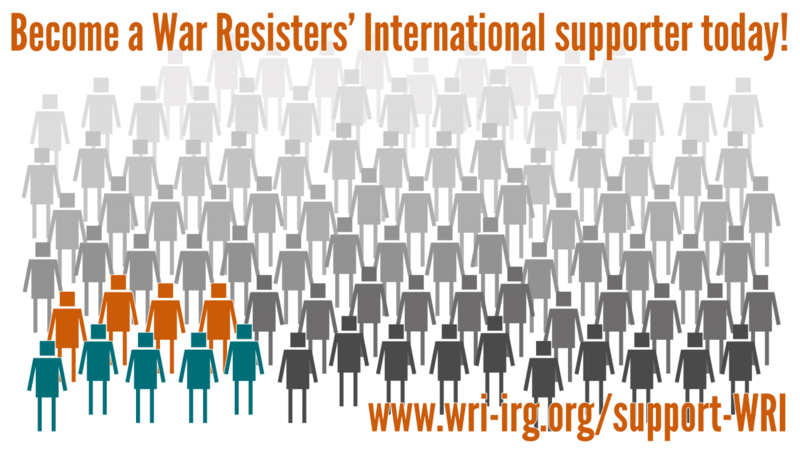 War Resisters' International relies on donations from generous individuals around the world. We are currently looking for 25 new regular supporters to support our work in the future – could you be one of them? Click here to find out how you can contribute, and to watch our new video showcasing some of our work! The supreme court in Connecticut have ruled that the victims of the Sandy Hook shooting should be able to sue Remington, the manufacturers of the assault rifle used to kill 20 children and six adults in 2012. The British military has approached universities, seeking a partner in a £70m project focused on looking at how the arts, humanities and social sciences can be used to shape security and military strategies focusing on psychological warfare. A coalition of European anti-arms trade organisations has criticised a provisional agreement between a committee of the European Parliament and the European Council, as setting “a dangerous precedent against the democratic functioning of the EU and in particular against the oversight role of the Parliament” and fuelling the global arms trade.